Tobi Adekanye joined the Department of Engineering and Public Policy at CMU in January 2016. Prior to joining CMU, she completed her Bachelors program in the Electrical and Electronics Engineering Department, University of Lagos. She then joined the Energy Science, Technology and Policy program (ESTP) at CMU for her Masters degree. Her present research interest is examining the effectiveness of energy efficiency incentives in promoting energy consumption reduction in commercial buildings. Additionally, she is looking into modeling the energy consumption patterns of both green and non-green buildings. This research aims to better inform policy in order to develop better energy efficiency targets in the United States. 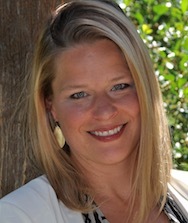 Nichole Argo is a Research Scientist in the Departments of Social and Decision Sciences and Engineering and Public Policy. She holds a PhD in Social Psychology from The New School, an M.S. in Political Science from MIT, an M.A. in International Policy Studies from Stanford University. 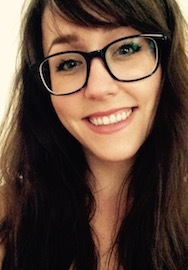 Her research focuses on how people make decisions in the face of mortality, and spans intergroup dynamics in war zones (e.g., processes of radicalization) as well as individual decision making during times of high risk or amidst reminders of death (e.g., HIV prevention, end-of-life decision making). I am an Associate Professor at the Department of Engineering and Public Policy. I also serve as co-Director for the Climate and Energy Decision Making (CEDM) Center. I am interested in solving problems that include environmental, technical, economic, and policy aspects, where traditional engineering approaches play an important role but cannot provide a complete answer. In particular, I am interested in assessing how energy systems are likely to evolve, which requires comprehensive knowledge not only of the technologies that can address future energy needs but also of the decision-making process followed by different agents in the economy. Matthew Babcock is a 3rd year PhD student in the Department of Engineering and Public Policy. Matt has a B.S. in Mechanical Engineering, a M.S. in Environmental Engineering, and an MPA in Environmental Science and Policy. Past experience includes implementing small scale water systems in rural Panama and working to improve indoor air quality in New York City. Matt's current research focuses on how different groups of water managers in Costa Rica perceive the water system and use forecasting information. Overall his general interest is in how understanding people's perceptions enables better management of environmental resources, conflict mitigation, and decision making in complex systems. 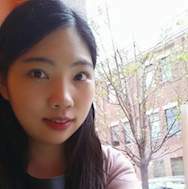 Sunhee Baik is a 3rd year Ph.D. student in the Department of Engineering and Public Policy. She holds B.A. in Information and Industrial Engineering from Yonsei University and a Master's degree in Industrial and System Engineering from KAIST. 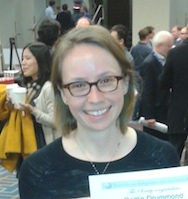 Her research focuses on eliciting the value of reliable electric power. In her research to date, she developed (with her advisors, M. Granger Morgan and Alex Davis) a survey framework which effectively and efficiently estimates the values while considering the influences and biases. 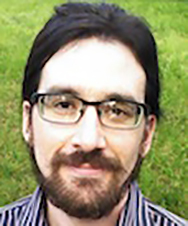 Stephen Broomell is an assistant professor in the Department of Social and Decision Sciences at Carnegie Mellon University. He earned a M.S. in Statistics and a Ph.D. in Quantitative Psychology from the University of Illinois. 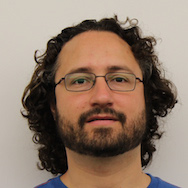 His research interests include the formation and testing of mathematical models to predict human behavior, judgment and decision making, and phenomena related to the understanding of (and integration of) information. He is currently developing a line of research focused on problems of risk communication associated scientific evidence and its related uncertainties. Additionally, he is working on an ongoing collaborative research project studying the perceptions of risk associated with global climate change. Casey Canfield is a 5th year PhD candidate studying Engineering & Public Policy. She has a B.S. in systems engineering from Franklin W. Olin College of Engineering. Broadly, her research focuses on using ideas from quantitative psychology to better integrate human behavior in cyber risk analysis. Specifically, she is quantifying how people detect phishing emails and then using those estimates as an input for risk analysis. She holds a Graduate Research Fellowship from the National Science Foundation. Alex Davis is an Assistant Professor in the Department of Engineering and Public Policy at Carnegie Mellon University. He is a member of the Behavior, Decision, and Policy Group, the Carnegie Electricity Industry Center (CEIC), and the Center for Climate and Energy Decision Making (CEDM). He is currently directing a two year field experiment in collaboration with the Cornell Cooperative Extension examining behavioral approaches to encourage residential energy efficiency, and he is CMU's acting director of a multi-year, multi-institutional research project on the relationship between science and proven experience. His research focuses on the behavioral foundations of policy, applied to innovation and entrepreneurship, energy, the environment, health, and information and communication technologies. He teaches a graduate course in applied data analysis (19-704). Alex earned his B.S. from Northern Arizona University in Psychology (2007) and his M.S. (2009) and Ph.D. (2012) from Carnegie Mellon University in Behavioral Decision Research. He worked as a postdoctoral fellow and research scientist at Carnegie Mellon University prior to joining the faculty at Carnegie Mellon. Cristobal is currently a Ph.D. student at the Department of Engineering and Public Policy here at Carnegie Mellon University. He graduated from Pontificia Universidad Catolica de Chile in Santiago, Chile with a Bachelor's in civil industrial engineering. He previously worked for the Chilean Ministry for the Environment as both the head of the Division of Information and Environmental Economics. His research has focused on sustainability and environmental regulation. Barry Dewitt is a PhD student in the Department of Engineering & Public Policy. Barry has a B. Arts & Sci in mathematics from McMaster University (Canada), and an M. Sc. in Mathematics and the Foundations of Computer Science from the University of Oxford. He works with Baruch Fischhoff, Alex Davis, and Stephen Broomell on applying methods from mathematical psychology to study problems of risk (e.g., public perceptions of tornado risks). He also works with Janel Hanmer (Pitt), Baruch Fischhoff, and Alex Davis on measuring and modeling how people value their health. Barry holds a Doctoral Fellowship from the Social Sciences and Humanities Research Council of Canada. 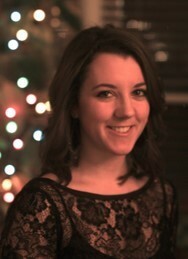 Caitlin Drummond is a 4th year PhD student in the Department of Social and Decision Sciences. She holds B.A.s in Economics and English from the University of Pennsylvania. Her research focuses on how nonscientists understand and use scientific information, with special emphasis on the factors that predict acceptance of the scientific consensus. In her research to date, she has developed (with her advisor, Baruch Fischhoff) the Scientific Reasoning Scale, which measures the ability to assess scientific evidence in terms of the factors that determine its quality. She holds a Graduate Research Fellowship from the National Science Foundation. 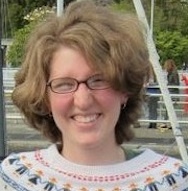 Rachel Dryden is a 1st year PhD student in the Department of Engineering and Public Policy. She holds a B.S. in Environmental Sciences from Park University and a M.Sc. in Geography from McGill University. Her research focuses on risk perception and communication of short- and long-term natural hazards for various stakeholders. She is a former NOAA Hollings scholar, Fulbright Killam Fellow, DAAD German Academic Exchange Service scholarship recipient, McGill Tomlinson and Lorne Trottier Fellow, and recipient of the Global Environmental and Climate Change Centre scholarship. Nichole Hanus is currently pursuing a PhD in the Department of Engineering and Public Policy at Carnegie Mellon University. She holds a B.S. in Mechanical Engineering with a concentration in Renewable and Clean Energy from the University of Dayton. Nichole’s undergraduate research examined how information can augment community-based energy conservation (Hallinan et al., 2012). 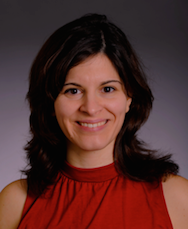 Working with Gabrielle Wong-Parodi, Alex Davis, and Inês Azevedo, her current research employs behavioral decision sciences to characterize commercial building system investment decisions and utility rate payer accountability strategies. She holds a Graduate Research Fellowship from the National Science Foundation. At the moment, she is a visiting scholar at ETH Zürich with the Department of Environmental Systems Science (D-USYS) Transdisciplinarity Lab. 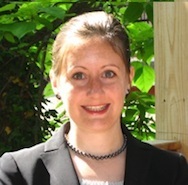 Dr. Kelly Klima is a Research Scientist at the Department of Engineering and Public Policy of Carnegie Mellon University with over ten years of research experience on adaptation, hazard mitigation, climate, extreme weather, and risk communication. Her research work supports community resilience throughout the world, and has been applied in the City of Pittsburgh and counties in New Jersey. Previously, Dr. Klima worked at the Center for Clean Air Policy (CCAP), where she helped New York and Washington D.C. advance adaptation planning. Dr. Klima completed her doctoral research in the Department of Engineering and Public Policy (EPP) at Carnegie Mellon University where she used physics, economics, and social sciences to conduct a decision analytic assessment of different methods to reduce hurricane damages. She has published several journal articles, is an active member of 9 professional societies, and serves on the Natural Hazard Mitigation Association (NHMA) Board of Directors and the American Geophysical Union (AGU) Board of Directors. Dr. Klima also has an M.S. in Earth, Atmosphere, and Planetary Science (MIT), an M.S. in Aeronautics and Astronautics (MIT), a B.S. in Mechanical Engineering (Caltech), and a CFM from the Association of State Floodplain Managers. Tamar Krishnamurti is an Assistant Research Professor in the Department of Engineering and Public Policy. She received her MS in Behavioral Decision Research (BDR) and Social Psychology and her PhD in BDR from the Department of Social and Decision Sciences at Carnegie Mellon University. Her research interests include risk perception and communication, medical decision making, mHealth, and the design of effective communications, decision aids, and interventions for both domestic and international populations. Her work has utilized quantitative and qualitative methods to conduct basic and applied research on how people behave within their individual, social, and structural contexts. Dr Krishnamurti is particularly interested in research that focuses on vulnerable and high-risk social groups and is currently working on a smartphone app intervention targeting pregnancy risk and a 5-year USAID-funded project to develop and evaluate effective, scalable strategies for oral PrEP delivery among high-risk African women. 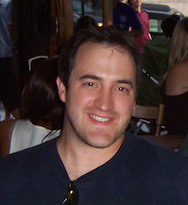 Brian Sergi is a 2nd year PhD student in the Department of Engineering & Public Policy. Previously, he was a fellow at the Science and Technology Policy Institute in Washington, D.C., and received a B.S. in Science, Technology, and International Affairs from Georgetown University. His current research interests include public perceptions of energy and the integration of technological and social considerations of energy policy. With his advisors Ines Azevedo and Alex Davis, he is working on a survey studying how information on electricity generation affects public support for emissions reductions. He holds a fellowship from the Steinbrenner Institute for Environmental Education and Research. 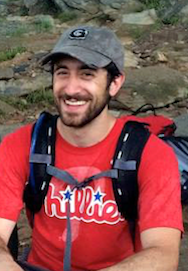 Evan Sherwin is a 3rd-year PhD student in Engineering and Public Policy (secondary MA in Machine Learning), with research interests at the intersection of energy systems analysis, econometric inference, and machine learning. His work focuses on understanding the drivers of daily household electricity consumption patterns, particularly in low-income households, and characterizing and understanding uncertainty in long-term national-scale energy projections. 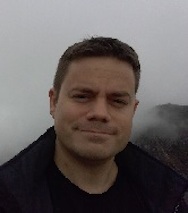 After graduating with BA degrees in physics and applied mathematics from the University of California, Berkeley in 2011, Evan worked for three years at Lumina Decision Systems. At Lumina, Evan helped build on large-scale, low-resolution policy evaluation models of the US vehicle transportation sector and the western United States electricity generation sector. He holds a Graduate Research Fellowship from the National Science Foundation. 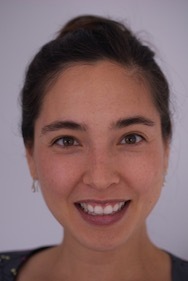 Gabrielle Wong-Parodi, PhD is an Assistant Research Professor in the Department of Engineering and Public Policy at Carnegie Mellon University. She received her doctoral degree in Energy and Resources with an emphasis on Risk Theory from UC Berkeley's Energy and Resources Group. Dr. Wong-Parodi's area of expertise is in risk perceptions and communications. More specifically, she applies behavioral decision-making methods to address real world energy, climate and weather problems to inform policy. Dr. Wong-Parodi has published papers on the risk perceptions river flooding, developing climate change impact decision aids, and energy conservation.